It is important to know that there is a difference between a pharmacist and a pharmacy technician. Although, it can be confusing when you go to a pharmacy and see people behind the counter working. It really looks like all of them are doing exactly the same thing and that there is really no degrees of separation between them. But, there are, you just don’t necessarily notice them easily. The job of a pharmacy technician is to assist a pharmacist in filling medication and helping customers with their needs. Pharmacy technicians will go through and make sure that everything is as it should be with each prescription. The big rule is that pharmacy technicians aren’t allowed to dispense a medication without having it looked at by a pharmacist. Basically a pharmacy technician does a lot of the busy work that the pharmacist may or may not have time for, then the pharmacist comes through and double checks everything for accuracy before it is finalized. 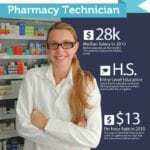 Some states require as low as a high school diploma to become a pharmacy technician, and then some states require certification. A pharmacist is in charge of the pharmacy technicians, and creates the medication from the ingredients specified. They are also the people that may counsel patients, since pharmacy technicians are not technically allowed to. They go through and answer any and all of the questions that a customer may have. They do make significantly more than a pharmacy technician, but the minimum educational requirement is a four year program that is just as difficult to complete as a bachelor’s degree. Some pharmacists will even work in a residency if they wish to work in a clinical environment later on. Both the pharmacist and the pharmacy technician have the job of pouring medications, mixing medications, and weighing the medication for accuracy. They are both going to deal with insurance companies, physicians, and customers. They also both have the same end goal, which is a happy customer. 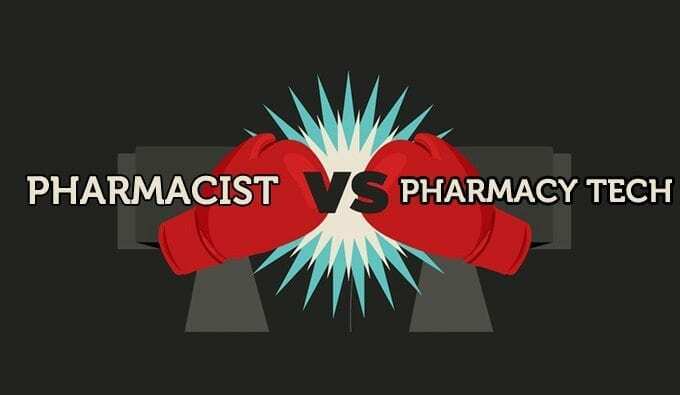 The main difference is that the pharmacist is the supervisor to the pharmacy technician, and that means that they get the final say on everything, and everything must be ran by them before being finalized.